This is yet another installment about photographing coins. In an earlier post, we noted that straight-on photography shows wear while slant photography obscures wear while exaggerating luster. Increasingly, however, we are noticing straight-on shots that show wear but obscure luster. Without luster, bidders have to rely on auctioneers for accurate lot descriptions. That can lead to trouble, if the buyer disagrees with the auctioneer’s grade. We know how difficult it is to capture the condition of a coin online, but that skill is worth the effort. Nothing is as important to the online audience as accurate pictures. 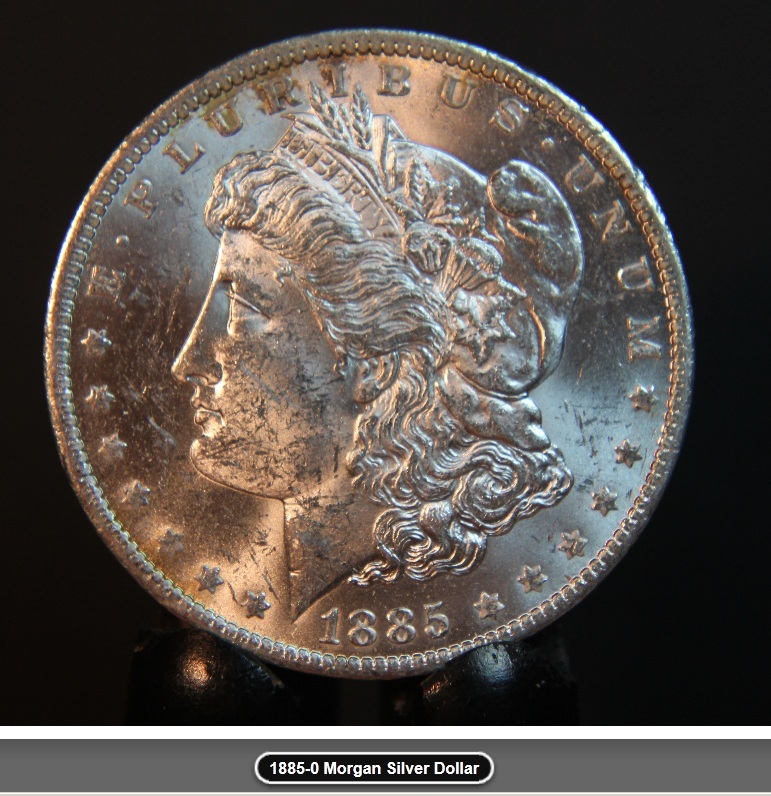 Onsite bidders can discern the condition of a coin by viewing it up close whereas Internet bidders must rely on the photographic skill of the auctioneer, as well as his or her lot descriptions. To capture the true condition of a coin, you need straight-on expandable photos in proper lighting and camera setting to capture luster, or lack thereof. This is especially important for dipped or doctored coins. Some camera settings adjust for lighting and in doing so, depict coins in false light, dimming luster so that all coins looked dipped when they actually aren’t. Here’s a case in point. (Click picture to expand.) 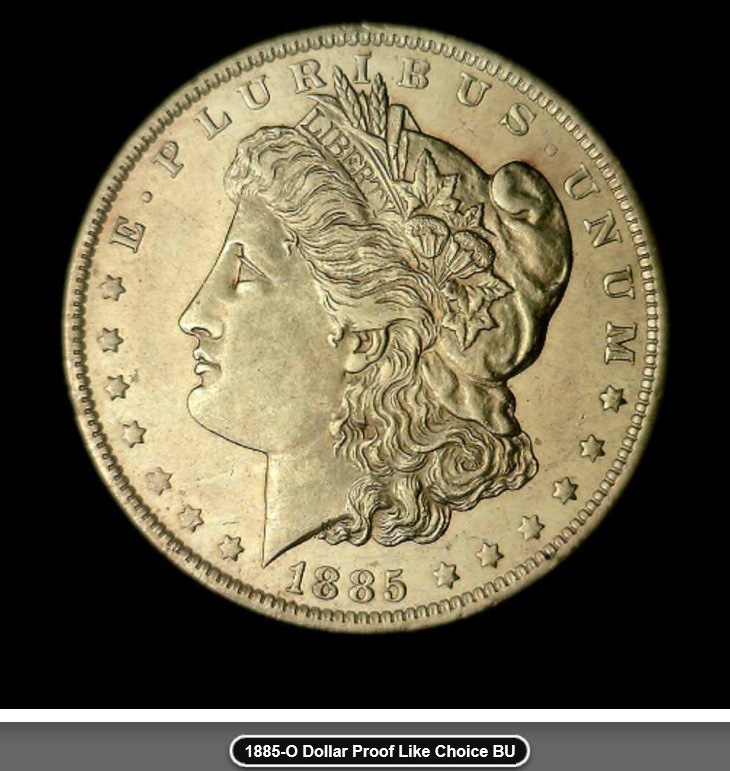 This 1885-O coin bore a description of choice mint state (MS63-64) proof-like. But the picture doesn’t bear that out. Especially with a proof-like coin, we expect to see the level of luster for a mirrored effect. This camera setting prevents that. You would have to know the auctioneer, and in this case, we do, to trust his numismatic judgment (and again, we do). But other bidders may not know that the auctioneer also is a coin dealer who grades coins accurately. Here is a similar coin photographed correctly by Eddie Caven of Key Date Coins, another coin dealer who features some of the best numismatic photography on Proxibid. He uses a black black ground, too, but doesn’t shoot the coin from a vertical stand. 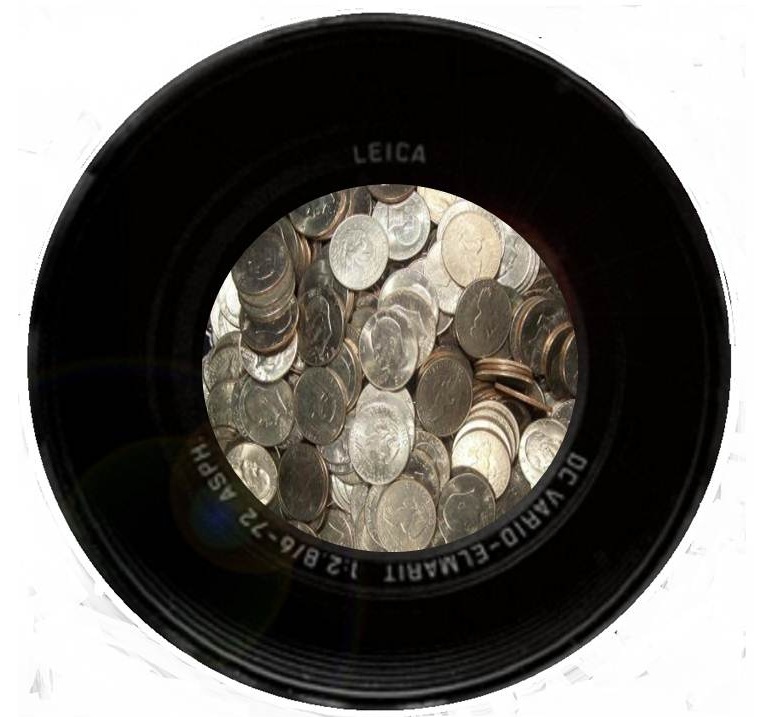 He takes the extra step of putting the coin on a mount and fixing his camera for a horizontal straight-on shot in proper lighting, catching both the condition of the coin and its luster. Both of these coins are choice BU. But we can only discern the luster of one, clearly seeing that this is not dipped but true brilliance. Caven’s photo is so clear that he doesn’t need to add a lot description. The picture speaks for itself. That’s the goal. There are other auctions that take care to shoot photography so that it accurately reflects the true condition of a coin. Check out for comparison the top-photographing houses of Western Auction, Capitol Coin Auctions, and Matthew Bullock Auctioneers. This entry was posted in Articles, Best Practices and tagged American Numismatic Association, Auctioneers, AuctionZip, Best Practices, Coin Auction, coin photography, Eddie Caven, Key Date Coin Auctions, Key Date Coins, luster, National Auctioneer Association, Proxibid, Proxiblog. Bookmark the permalink.